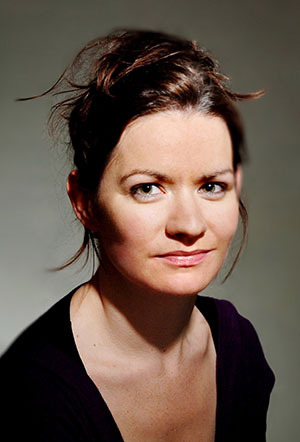 Linda Buckley (b.1979) is a composer from the Old Head of Kinsale currently based in Dublin. Her music has been described as "strange and beautiful" (Boston Globe), “glacially majestic” (RTÉ Ten), a "fascinating interaction between live sound and electronics" (Irish Times), with “an exciting body of work that marks her out as a leading figure in the younger generation of Irish composers working in the medium” (Journal of Music). Her work has been performed by the BBC Symphony Orchestra, Irish Chamber Orchestra, RTÉ National Symphony Orchestra, Dresden Sinfoniker Orchestra, Crash Ensemble, Fidelio Trio, Orkest de Ereprijs, Janus Trio, Rothko Trio and at international festivals including Bang on a Can at MassMoCA, Gaudeamus Music Week Amsterdam and Seoul International Computer Music Festival. She studied Music at University College Cork and Music and Media Technologies at Trinity College Dublin. She holds a Ph.D in Composition from Trinity College, was RTÉ lyric fm Composer in Residence from 2011/13 and Fulbright Scholar to NYU from 2016/17.